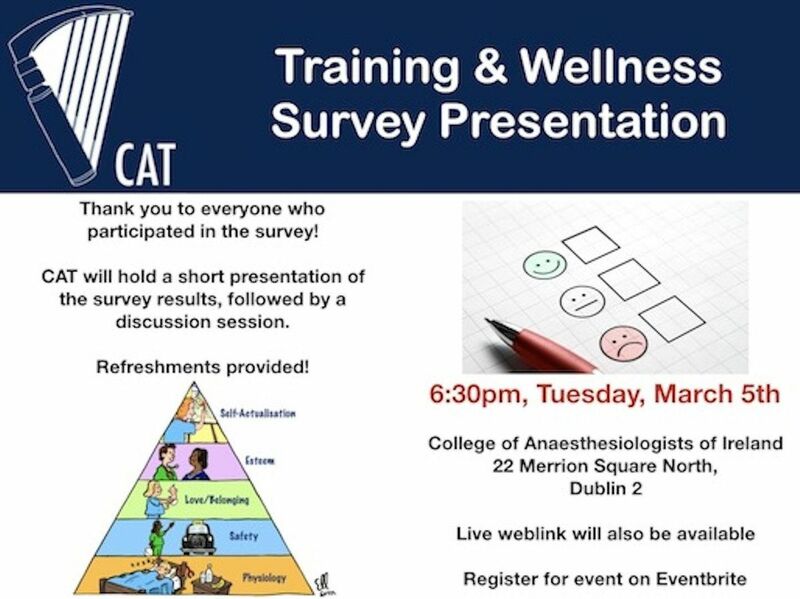 The Committee of Anaesthesiology Trainees (CAT) are delighted to have the opportunity to present the results of the joint CAT & CAI Training & Wellness Survey, which was distributed in November 2019. There was a great response to the survey and we would like to take the opportunity again to thank everyone who contributed. 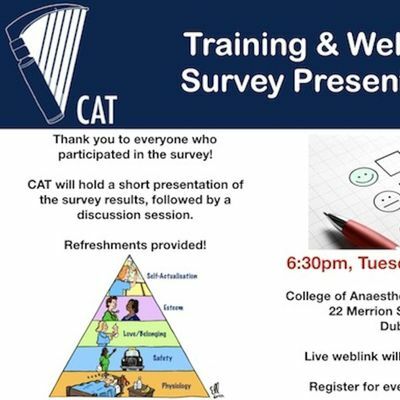 Please come and join us in the College for a short presentation of the survey highlights along with the key recommendations made by the group. We are also looking forward to receiving feedback and suggestions from both trainees and consultants. There will be a weblink provided for those working outside Dublin or who can't attend. Take this as an opportunity to get together with your colleagues, sit back and enjoy!